Our principles - De website van entryone! whose core value is that every assignment will provide a good learning experience for the students involved. in the broadest sense, ranging from research groups wanting to perform a start-up feasibility study to due diligence for a VC-investment round. who make sure the students do a proper job and learn how to do an even better one. who have a partnership agreement with EntryOne. 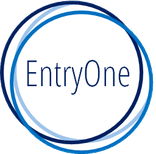 of the start-up process and this knowledge is jointly owned by EntryOne and its Partner Organizations. meaning that surplus income from operations will both be invested in knowledge development and distributed to the students that helped create the income. which share our vision and are willing to participate and help EntryOne grow into a nation-wide initiative.